Pacific World is a leading destination management company in Asia. A prominent event was to be held in Singapore with political dignitaries and business luminaries from around the world in their exclusive guest list. 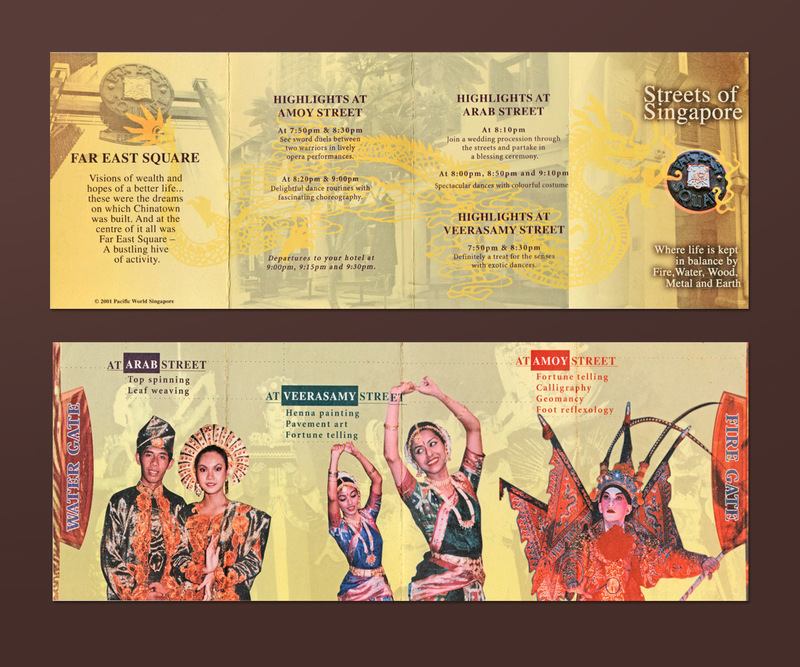 An invitation card to tell the multi-cultural story of Singapore, narrating the historical background of the many streets surrounding the event location was the brief given to us. Our delivery has led to many rewarding collaborations thereafter.